By James Rutherford, Consultant in Learning Spaces. Opened in September 2016, the new library cost almost £50 million and provides students with over 1,800 seats, most with power sockets. 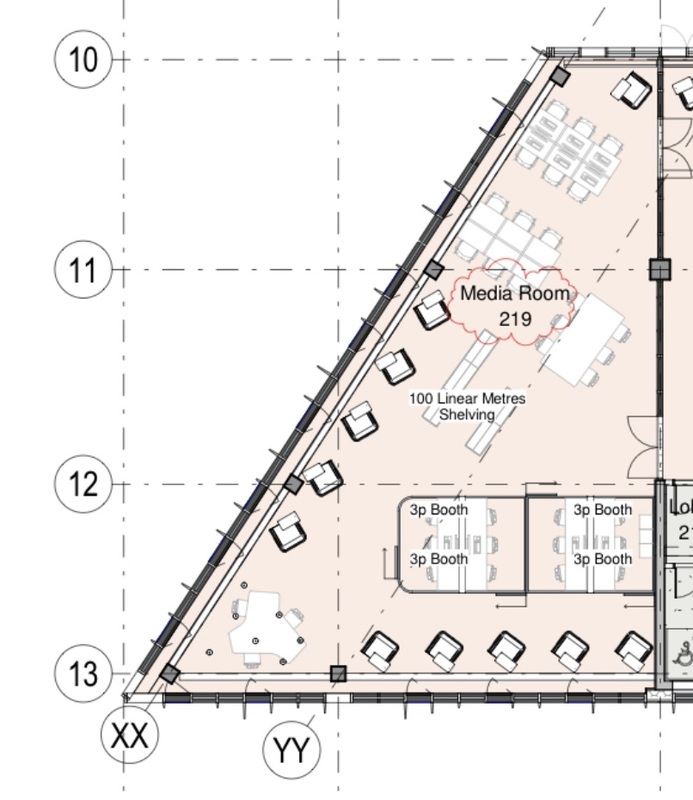 There are a variety of learning zones including casual seating, thinking spaces and individual work areas. As Learning Spaces Development Manager, I worked closely with the Senior Project Manager and Director of Library Services alongside key stakeholders within her team, professional services and external contractors. I was thoroughly involved in the investigation of the layout and together we designed the specification for all study spaces. The team collaborated with key staff, accessed data from student surveys, we researched how students learn and looked at their aspirations balanced with what we know works. As a design team, we collaborated closely with the excellent team from our furniture supplier, Broadstock and supported by Associated Architects, to look at specific study areas such as the music library, study skills suite, group work spaces and post-graduate rooms. Our work paid great attention to planning the detail for the design, type of furniture, finishes and highly considered layouts for a variety of study requirements. Drawing shows the Media library and image from completed installation. 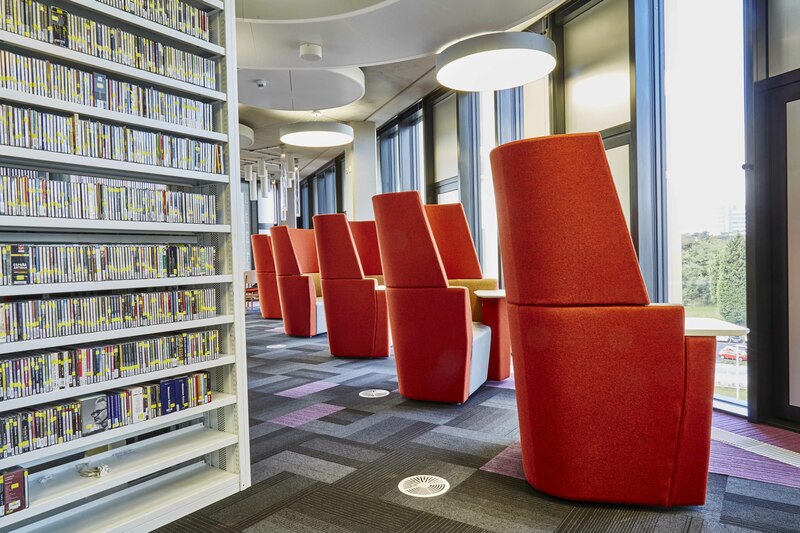 The Library overflows with contemporary spaces, colours and quality environments. There is an enormous overall improvement in the facilities for students with a sense of openness for learning in the 21st Century including versatile charging stations, cafe, silent study zones and a media room with video editing booths.